Both versions will both include a Surface pen with Palm Block technology and include the ability to use a Touch Cover or Type Cover (sold separately). The differences compared to the Surface RT is that the Surface with Windows 8 Pro comes with an Intel Core i5 processor and will run current Windows 7 desktop apps, so Microsoft proudly claims “it’s a full PC AND a tablet.” Also, the $899 starting price does not include a Touch Cover or Type Cover ($120-$130). Surface Pro keeps the same display size, but increases tablet thickness by 43% over the RT version. Weight is also up by half a pound. Screen resolution goes up as well, at 1920 x 1080. Memory capacity also increases to 4GB, and Surface Pro comes with much more NAND on-board. 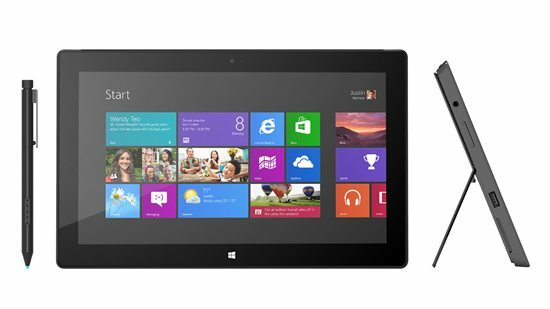 Anyone interested in the Surface Pro to replace their iPad? Does Microsoft have a winner here?